The presence of thermal waters has marked the existence of this town since its very beginnings. Hot water had already been making life easier in the town since Roman times and the existence of spa activity was documented in 1326, when the Hospital de Banys, or bathing hospital, was founded. Thermal water services helped to activate the town's economy, especially since the 19th century, when the medicine of the time recommended hydrotherapy as a preventative and curative remedy. Moving from health to leisure services, La Garriga became a residential town and was an obligatory stop for the region's intellectual and financial elite. Mr. Blancaflor began thermal water tourism with the opening of the Blancaflor Spa in 1840 and the town's prosperity increased considerably in the late 19th century. A railway line was opened in 1875 and the town's one-kilometre-long main boulevard was built in the same year. An increasing number of summer tourists, coming mainly from Barcelona and seeking a quiet, refreshing place to stay, led to changes in the town's urban layout, which at the time was still concentrated in its old town. A general enlargement plan was approved in 1882 and the middle-classes began to build second homes (summer villas) and wanted to imbue them with the modern, cosmopolitan airs of a great city in order to differentiate them from vernacular architecture. 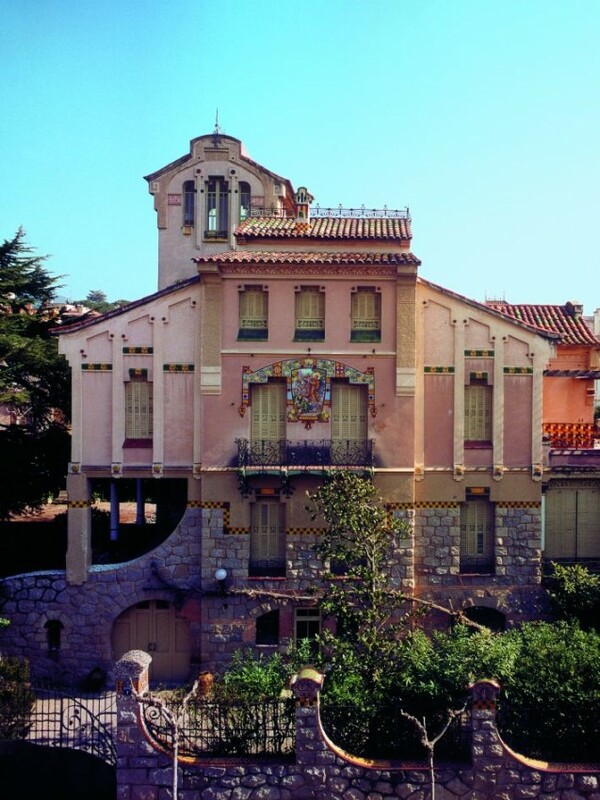 Modernisme was the fashionable style of the day and it was introduced into the town by architects such as Emili Sala i Cortés, Antoni Mª Gallisà i Soqué, Josep Puig i Cadafalch, Lluís Planas i Calvet and Josep Sala i Comas. But the actual creator of the town's formal makeover was the town architect Manuel Raspall i Mallol. 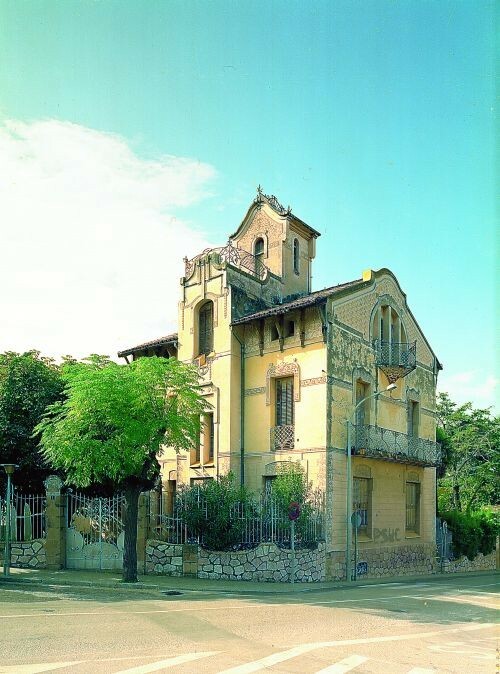 He was head of municipal construction work in the town from 1906 and, by 1927, he had built some 70 buildings in La Garriga and another 30 in the Vallès region (l'Ametlla, Cardedeu, Granollers, etc) and Barcelona. 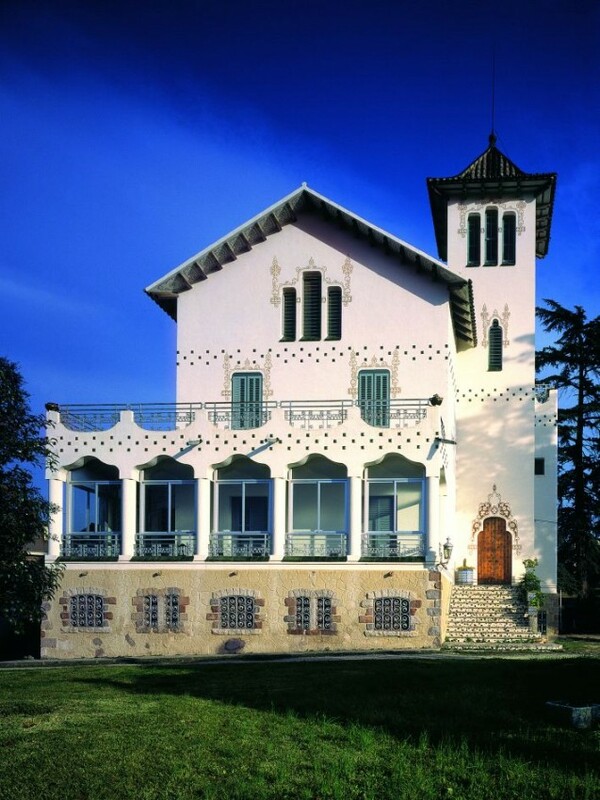 Trained in the capital and greatly influenced by Domènech i Montaner and Puig i Cadafalch, Raspall designed single-dwelling houses in a style that increasingly had less to do with Modernisme and was closer to Noucentisme as the years passed. He designed a total of seven blocks in the town's new enlargement area - as well as various houses - and one of these has been well preserved, the so-called "Mansana de la Concòrdia", or "Block of Harmony", in contrast to Barcelona's "Mansana de la Discòrdia", or "Block of Discord", in which various poetic designs compete. 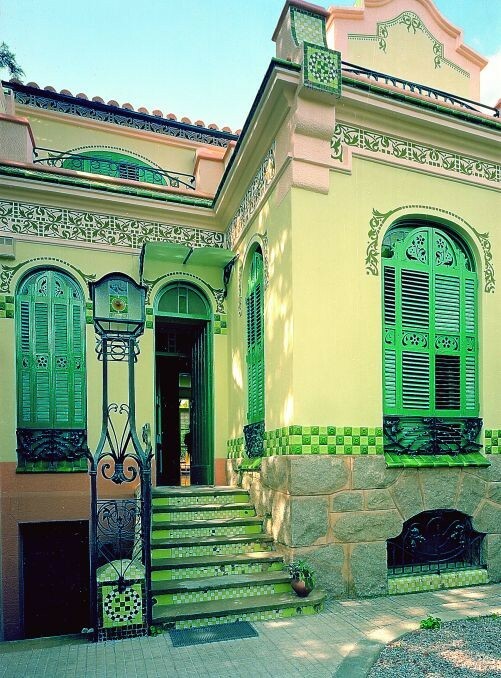 But in this block, otherwise known as "Mansana Raspall", the architect's interest in traditional outlines can be seen in the use of stone and sgraffito, as well as a profusion of decorative arts combining coup de fouet and Secessionist designs.